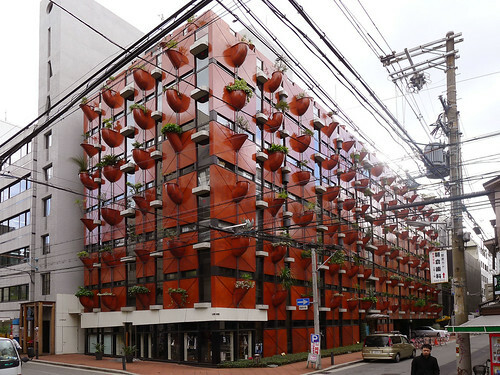 A building in Osaka aptly named "Organic Building" has a striking architecture with planting-pots fixed all over its façade. 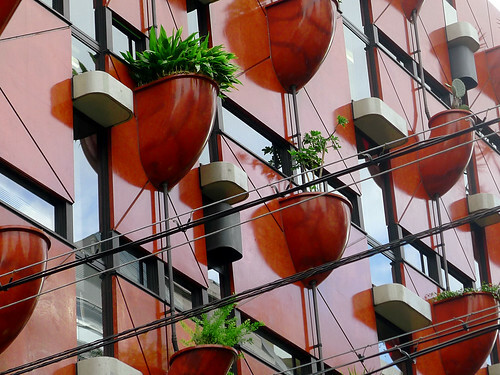 The embedded containers are lined with steel and fitted with fibreglass pots. More than 80 varieties of indigenous shrubs/trees are planted in these pots. The plants are irrigated by means of computer controlled irrigation pipes permanently fixed on the wall. The nine-storey building designed by Italy-born architect Gaetano Pesce, was constructed in 1993. The 7,052 square meters of interior space has restaurant/shops at the lower floor and office space on the upper floors. 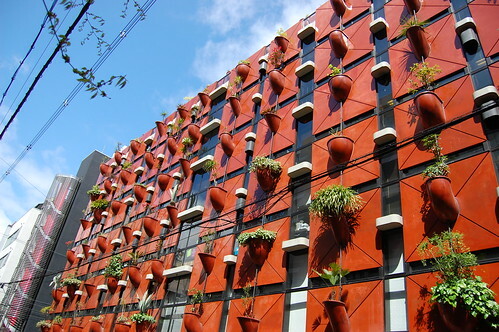 The building is now one most famous landmarks in Osaka and is often referred as the precursor to present day living wall concept. 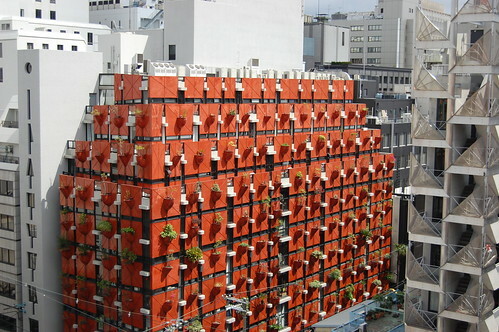 (see Vertical Green Garden of Madrid).